As I kept reading the story, I felt myself empathizing with Susan, the protagonist. Her tears, her pain, her desperation, her unhappiness, all touched many chords in my heart. The pain of losing someone dear is something which cannot be expressed in words, but being blamed for that loss leaves one feeling guily for the rest of one's life. 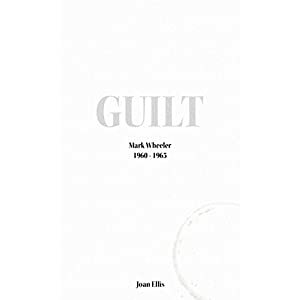 Joan Ellis has brought out the unhealed wounds of a young woman named Susan Wheeler. The emotional and mental trauma that Susan underwent as a seven year old, followed her into her motherhood. It was then that she decided to face her demons from the past. The story subtly brought out the innocence of a little child and how this is cleverly exploited by adults to conveniently blame the child for their misdoings. Little do such adults realize that by making children the scapegoats for their misadventures, they are scarring these angels for life. But as is said, all is well that ends well. Every dark cloud has a silver lining. Once Susan found the silver lining in her cloud,a beautiful blue sky opened up for her. Susan's journey from a guilt-ridden child and woman to becoming the seeker and finding answers, is truly inspiring. P.S - I received a copy of this book from Booklover Catlady Publicity in exchange of an honest review. Thank you Maxine.